Watching what you drink is a must. Our list of the worst drinks for your body provides the reasons to avoid five common beverages. The high sugar content and lack of nutritional value in soda puts it at the top of the list of worst drinks for your body. Sodas rank No. 1 among the worst drinks because they have zero nutritional value. In fact, many of the ingredients contained in sodas are actually harmful to your body, including ungodly amounts of sugar and corn syrup. Diet sodas are also among the worst drinks for your body. Sadly, many people believe that diet sodas are healthy because they’re lower in calories. In reality, they’re not healthy at all. 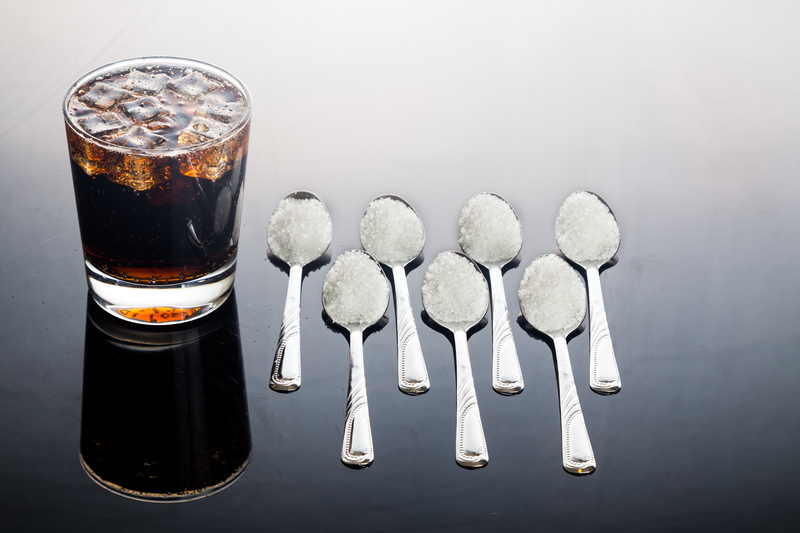 Learn about diet soda dangers by clicking here. Most people think milk is actually one of the healthy beverages because of its calcium content. But the truth is, non-organic cow’s milk it is actually one of the worst drinks; it’s loaded with a lot more than calcium! According to The Journal of Agricultural and Food Chemistry, the contents of each glass of milk can contain up to 20 different chemical agents, including a variety of pharmaceutical drugs and growth promoters. Milk is often laden with hormones, antibiotics, pesticides, herbicides, bacteria, and environmental pollutants (organophosphates). In today’s world of “most meat for your money,” cows are raised on industrial farm factories called CAFOs (Concentrated Animal Feedlot Operations). On these CAFOs, cows are fed non-organic grains sprayed with pesticides and herbicides. They are also provided hormones to increase their growth rate. Specifically, dairy cows are supplied hormones called genetically-engineered recombinant bovine growth hormone (rBHG) to increase milk production. And sadly, over a dozen antimicrobials are approved for farm animal growth promotion in the US. These include antibiotics that are utilized for treating human disease, such as penicillin, tetracycline, and erythromycin. Truth be told, approximately 70 percent of the antibiotics produced by pharmaceutical companies today are actually used in animals. While most major brands of fruit juices on the market contain high amounts of sugar or corn syrup, apple juice ranks among the worst drinks because it contains another constituent that is not so commonly known about: Patulin. Patulin is a mycotoxin (fungal by-product) produced by certain species of molds such as Penicillium and Aspergillus. Exposure to this mycotoxin is associated with immunological, neurological, and gastrointestinal problems in animal studies. Patulin is found in moldy grains, cheeses and other foods; however, the major sources of contamination are apples and apple products. Apples with visible damage (rots, bruises, or bird or insect damage, for example) are more likely to contain high levels of patulin. Also, apples that have fallen from a tree to the ground rather than being picked off of the tree have higher levels of the toxin. And, apple juice contains high amounts of patulin because any damage to the fruit is not regularly detected and the damaged apples may not be removed prior to pressing. The problem is that patulin is not screened for in our food supply; this means there is no way of knowing what amounts of patulin any apple juice will contain—either organic or non-organic. In fact, organic apple juice can contain up to 10 times higher amounts of patulin than non-organic juice. Alcoholic fermentation of fruit juices destroys patulin. Therefore, fermented products such as cider or vinegars will not contain patulin as long as apple juice was not used as an additive post-fermentation. Patulin is also heat-stable so pasteurization does not eliminate the toxin; pasteurized juices are not any better of a deterrent than non-pasteurized products. One more note regarding apple juice: Aside from patulin, some studies have indicated that apple juice may contain arsenic. This is yet another reason why apple juice is among the worst drinks for your body; it’s best to avoid the juice altogether and don’t give it to your kids. According to a study published in the journal, Pediatrics, energy drinks are regularly consumed by 30 to 50 percent of children, adolescents, and young adults. Because energy drinks are categorized as nutritional supplements, they contain more caffeine per fluid ounce than the FDA has set for soda and other beverages. The FDA’s limit is 71 mg of caffeine per 12 fluid ounces; energy drinks contain as much as 75 to 400 mg of caffeine per container, with additional caffeine not included in the total from additives such as guarana or cocoa. 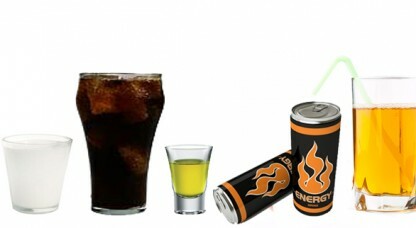 In the United States before 2010, poison control centers were not tracking adverse events related to energy drinks specifically; they only monitored problems of caffeine overdoses. And to give you an idea of how prevalent caffeine overdoses were for children and teens, of the 5,448 U.S. caffeine overdoses reported in 2007, 46 percent occurred in those younger than 19 years old. In Germany, officials have been tracking the health effects of energy drinks since 2002; adverse events have included liver damage, seizures, rapid heart rate, respiratory disorders, and even death. Alcohol can be either a tonic or a poison. The difference lies in the type of alcohol being consumed (e.g., red wine vs. liquor), the amount and frequency of consumption, and the genetic predisposition of the person drinking it. No matter the type, moderation is key. Alcohol is unique in the list of worst drinks for your body because excessive alcohol consumption not only leads to physical problems, it can cause mental and emotional health issues as well. The physical health effects alone of alcohol include: liver disease, cancer, diabetes, osteoporosis, high blood pressure, impotence, dementia, and more. Emotionally and mentally, alcohol can adversely affect a person’s intimate relationships and cause financial problems. Ultimately, excessive alcohol consumption can lead to premature death. 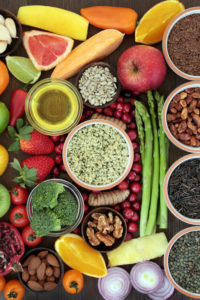 Any health benefit received from drinking alcohol—such as the heart-healthy benefits of consuming red wine—can be achieved by substituting grape juice, pomegranate juice, or other healthy fruits in the diet. So, it’s best to skip the alcohol altogether. If you or someone you love has a problem with alcohol addiction, talk with a counselor or doctor or seek help from a local treatment group or rehab clinic. Now after all this bad news on these bad beverages, you need to know what you can—even should—be drinking every day. Learn about our top 5 healthy drinks by clicking here here. And take a few moments to tell us your experience in resisting beverages: Have you found soda or other beverages to be addictive, and have you had success in eliminating harmful drinks from your diet? Use the Comments section below. Journal of Agricultural and Food Chemistry May 11, 2011; 59(9):5125-32. The CAFO Reader. The Tragedy of Industrial Animal Factories. Watershed Media. 2010.
alcohol, alcohol and blood pressure, alcohol consumption, antibiotics, bacteria, blood pressure, caffeine, calcium, calories, cancer, children, corn, corn syrup, dairy, dangers, dangers of energy drinks, dementia, diabetes, diet, diet soda, diet soda dangers, emotional health, energy drink addiction, energy drinks, food, gastrointestinal, gastrointestinal problems, health, health problems, healthy beverages, healthy drinks, heart disease, heart healthy, high blood pressure, hormone, liver disease, Lose Weight, milk, mycotoxin, nutritional supplements, nutritional value, organic, osteoporosis, pancreatic cancer, pesticides, pomegranate, respiratory disorders, stroke, sugar, supplements, toxins, what does soda do to your body, wine, worst drinks, worst drinks for your body. Wow! I had no idea that apple juice was so horrible! I knew it had plenty of sugar, but I did not realize anything about the Patulin, and definitely not arsenic! Thank you so much for informing me about that. It’s no wonder the government provides milk and juice for people who need assistance (not to mention nothing but cereals made from corn and other food that unless you know, would otherwise seem healthy). Thanks for the info! You always have interesting articles!!!!! Contrary to the misinformation here, neither regular nor diet soda is driving complex health conditions. None of the studies cited here establish causation, nor do they overturn the vast body of science that establishes the safety of these products and their ingredients. With that said, America’s beverage companies agree that Americans should be mindful of the calories they consume from sugar. We are committed to being part of real solutions to public health challenges with initiatives like Balance Calories, which aims to reduce sugar and calories consumed from beverages across America. We’re offering more choices with little or no sugar and smaller portions. We also have voluntarily placed clear calorie labels on the front of every bottle, can and pack we produce. With respect to energy drinks, it’s important to note that most mainstream varieties actually have far less caffeine than a similar size coffeehouse coffee. In fact, many have about half as much. America’s leading energy drink manufacturers voluntarily go far beyond all federal requirements when it comes to responsible labeling and marketing practices, including displaying total caffeine content – from all sources – on their packages along with advisory statements indicating that the product is not recommended for children, pregnant or nursing women and persons sensitive to caffeine. Learn more here: EnergyDrinkInformation.com.